In this early detective novel, the detective is Hilda Wade. She is a very capable nurse, but there is something mysterious about her from the moment she arrives at the hospital. Upon meeting her, Dr. Hubert Cumberledge greatly admires her and becomes a devoted friend. It turns out that Hilda has one purpose in life, and in pursuit of that purpose she will travel across the world, from London to South Africa, Rhodesia, India, Nepaul, Tibet and back. With Cumberledge's support, her extraordinary logic and clear thinking lead her on through deadly perils. But will that be enough to accomplish the secret purpose which has driven her so long and so far? . . .Externally, she seemed thus at first sight little more than the ordinary pretty, light-hearted English girl, with a taste for field sports (especially riding), and a native love of the country. But at times one caught in the brightened colour of her lustrous brown eyes certain curious undercurrents of depth, of reserve, and of a questioning wistfulness which made you suspect the presence of profounder elements in her nature. 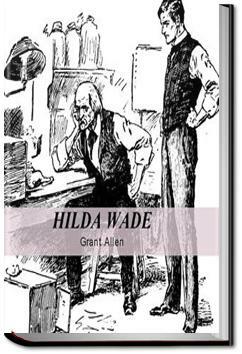 From the earliest moment of our acquaintance, indeed, I can say with truth that Hilda Wade interested me immensely. I felt drawn. Her face had that strange quality of compelling attention for which we have as yet no English name, but which everybody recognises. You could not ignore her. She stood out. She was the sort of girl one was constrained to notice.